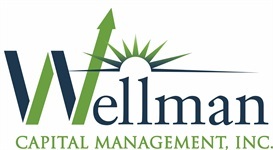 Investments | Wellman Capital Management, Inc. Using an in-depth needs analysis, we will work with you to establish and implement a comprehensive plan designed to provide you and your family with the means to achieve financial security. This will be essential to determine where you are in accomplishing your goals. We will build your portfolio around your goals and expectations. To invest for your future, we will bring together an array of investments that fit your individual needs. We will continue to review of your progress to make sure you are achieving your goals.